This past spring I went on a studio tour of local artists in my town. I only went to two. I chose these two because I was most interested in their work and had very little time to spend. Luckily, they were both very near to me and each other. They were also fiber artists but very different from each other. One was an art quilter with a very refined, but whimsical style. The other was a weaver who hand dyes some of her own yarns. Her style was much rougher, but in the way that makes you want to touch everything and gently squeeze it to feel the thickness and body of the work. The weaver had a loom set up on the front porch of her studio for anyone to give it a try. The quilter had her machine set up to show how she added texture to her work with intricate quilting. I was struck by the openness and accessibility of these two women. I was invited into their homes as a friend. Each spent time with me individually and we had conversation. You know, the real kind. It started as their basic “welcome to my studio, this is what I do, feel free to look around” bit, but ended with us each learning something about the other. Another thing happened. Each shared their passion for what they were doing and why they loved it or how they had come to love it. I also shared my idea of this blog and they were so encouraging. Passion can be contagious if you expose others to it. That is what I want for you. I want to share my passion for helping you experience your own. Then I want you to do the same for others. Our passions do not need to be similar. I want to encourage you to pursue your ideas. Begin to pursue discovering your passion if you haven’t already. Experiment, look around, have fun, daydream, see what catches your eye on Pinterest. Here is how I found my passion and what I do with it. Wondering where to start? Think back to how you played as a child. What did you love to do for hours on end? What couldn’t you get enough of? Start there and let me know how it goes. What is your passion and are you pursuing it? What’s holding you back? I am humbled deeply by your kind comments. Thank you. I think this is such a great place to start those conversations, carry them over to Twitter to build those relationships and watch them grow. Maybe one day we can have that sit down. I'm honored that you came to visit. Glad to have found you as well. Love this. My passions when I was younger aren't my passions now because I didn't know how to do many of these things. But I am thinking about one thing inparticular which sort of combines everything, or is a common thread. Encouraging others. I'll have to think about that. Thanks Amy! They always say that your early play is a strong indicator of what you are truly meant to do. I really encourage you to think back. I'd love to know what you remember. I'm intrigued. That balance is hard to strike, especially when it is something that we truly love. Trusting God to show you how to follow rightly is always the best way. Thanks for coming by today. You are wlcome any time. 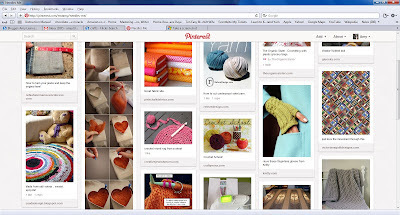 Your pictures were completely entertaining and fully embody the time-wastiness aspect of Pinterest! Loved it. Thanks for stopping by. Great post. I have been pondering exactly what my passions have been as of late. Trying to make them work in my life. That seems to be going around. Hope you let me know what you discover. Sometimes I think I have too many interests. I need to pick one and stick with it. Maybe you just need to think of a new way to combine them into something unique that is totally you. I love that you write about childhood and how it can open up ideas for what brought joy and passion and how that can sometimes translate into adulthood. It's a gift to be able to help others do that. Thanks. Glad you got a chance to stop by. I always love reading your words. What did I do for hours on end as a child...play baby dolls and "teacher"! :) surprise surprise I know. I could also swim for days. Sometimes we are so shy about our passions. I'll admit that I'm a little embarrassed when people I know ask me about my blog. I love it and am passionate about my writing and the people I'm reaching, but I still feel like its all a little silly. Ah! You're always welcome and I'm alsays thankful for the opportunity. It's a great teaching tool that you should not be ashamed of at all.